NEW BEDFORD-Victoria C. (Norton) Damasio, 40, of New Bedford died unexpectedly Tuesday, February 5, 2019 at St. Luke's Hospital. She was born in Wareham the daughter of William F. Norton and the late Elizabeth Ann (Steele) Bouvier. She was the wife of Joseph L. Damasio, Jr. She graduated from Bourne High School and earned a Bachelors Degree in History and English. Victoria was a dedicated homemaker, with 4 children to care for. She was a communicant of Our Lady of Mount Carmel Church, where she taught CCD. 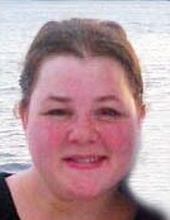 She enjoyed music and was a member of the Bourne High School Marching Band. She played the recorder. She was an avid New England Patriots fan. But her greatest joy came from spending time with her family. Survivors include her father: William F. Norton of New Bedford; husband: Joseph L. Damasio, Jr. of New Bedford; 2 sons: Joseph L. Damasio, III and Alexander W. Damasio of New Bedford; 2 daughters: Katherine I. Damasio and Eleanor C. Damasio of New Bedford; her mother in law: Manuela Damasio of New Bedford; 1 brother: Sean C. Norton; 1 sister: Tina Spillane and her husband Kevin; 4 nieces: Courtney Cogliano, Grace Bouvier; Hannah Damasio and Abigail Damasio; 3 nephews: Nick Buttrick, Carter Medchill and Michael Damasio, Jr. Her funeral service will be conducted Friday morning 9:30 at the funeral home, with a Mass of Christian burial to be celebrated in Our Lady of Mount Carmel Church at 10:30. Visiting hours Thursday evening from 5:00-8:00. Interment in Rural Cemetery. Funeral arrangements entrusted to AUBERTINE-LOPES FUNERAL HOME, 129 Allen Street. Flowers are accepted or donations may be made in Victoria's memory for her children's education fund. Expanded lighted parking area with handicap accessible entrance to rear of funeral home. For online guestbook, directions and additional information, please visit www.aubertine-lopes.com. To send flowers or a remembrance gift to the family of Victoria C. Damasio, please visit our Tribute Store. "Email Address" would like to share the life celebration of Victoria C. Damasio. Click on the "link" to go to share a favorite memory or leave a condolence message for the family.